Shading is a solar panels biggest enemy. With the potential to reduce output and prevent a system from working efficiently, shading needs to be considered thoroughly before a solar PV array is installed. How much could shading effect solar efficiency? According to some experts, homeowners could be losing as much as 40 per cent of the potential output of their solar PV installation because of shade. And that isn’t because the whole panel is being shaded. 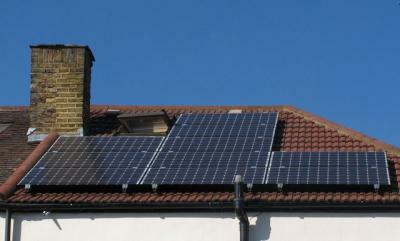 Just 10 per cent shading of a solar PV panel can result in a 50 per cent decline in efficiency according to some reports. This is due to the way the solar cells in an array are connected within the system. Traditional solar panel arrays are connected in a series of parallel ‘strings’. If one array is affected by shade, then the losses are passed onto the rest of the chain of cells. To prevent all the cells failing completely, the installation usually includes bypass diodes. These then reroute the current, bypassing the underperforming cells. However, despite stopping the array from failing all together – in the same way a set of Christmas tree lights go off when one bulb has gone – it does restrict the energy from the cells and lowers the entire strings voltage. The inverter is left to decide whether to optimize the voltage for the underperforming string or to maximise the energy harvested from the strings that haven’t been affected at all. Either way, the inverter will be choosing one of two inefficient options as a result. What kinds of solar shading is there? This includes shading that is the result of snow, bird droppings and fallen leaves. Dust can also cause temporary shading if it builds up (although this is rarely a problem here in the UK). This affects rack mounted systems and can be caused by the row of modules in front. This makes the layout of the module rows a hugely important factor when planning a system. Chimneys, satellite dishes, antenna and roof structures are just some of the objects that can cause shading from the building. This covers any shading that is caused by the buildings surroundings, for example trees and other neighbouring buildings. Anything nearby that is close enough to cause direct shading is likely to have the biggest impact on a solar systems efficiency. Is shading a solar installation deal breaker? It has been argued that the impact of shading is sometimes over-exaggerated, especially during the periods of maximum yield. Well-situated solar PV panels on a property at midday and during the summer should only be minimally affected by shading as the sun is high and directly above. With this in mind, shading is an obstacle for solar PV that needs to be considered and looked into by any potential consumer. The shading can come in many forms, can be seasonal and can be different depending on the objects that create the shade. It can often be overcome by taking action like avoiding the installation of panels on sections of roof likely to see shading, trimming trees or even considering a ground mounted system. How can shading be taken into consideration? 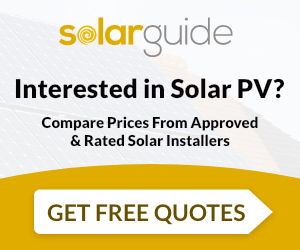 A professional solar installer should be able to notify you of potential shade issues when visiting your home to quote you on an installation and will often carry out a shade analysis if they do install your system. But it is worth investigating yourself beforehand, taking into account the changing seasons for trees, shading from the property and surrounding properties chimneys, potential high-rise buildings being erected in the coming years that could restrict your solar system and anything else that could obscure your panels from the sun.